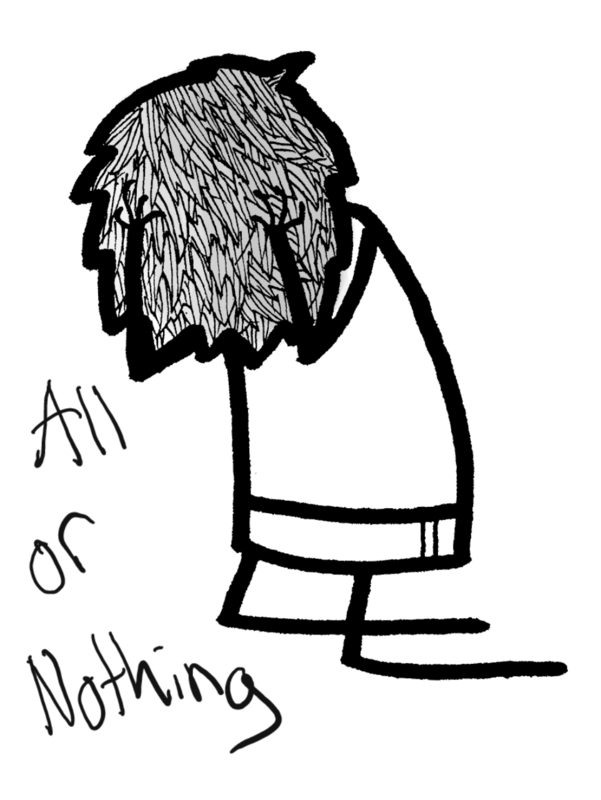 Neil Sherwin got his teeth into ‘All or Nothing’, a new quarterly football magazine by Alistair Moncrieff and friends. All or Nothing describes itself as a magazine that chronicles the highs and the lows that every true supporter goes through, and you certainly get that feeling when you sift through the 50 plus pages. There are some excellent contributors on board, including the likes of Ryan Keaney, Ben McAleer and Simon Furnivall, and all have penned words relating to the first edition’s central theme, “The Day Football Broke My Heart”. “A Reason to Love and A Reason to Hate” is a quick fire look at each Premier League team and it’s Ronseal – does exactly what it says on the tin. Aston Villa get praise for sacking Alex McLeish, though there’s minus points for hiring him in the first place, while Fulham’s acquisition of Dimitar Berbatov is negated by the infamous Michael Jackson statue. You get the idea. The ever popular Twittersphere gets a going over from both Moncrieff and McAleer, while Jack Howes will endear himself to Chelsea fans everywhere with “John Terry’s Penalty Miss is the Greatest Moment in Football History”. “Tactics Talk” does an excellent job of explaining those wanky terms that have become part of football vocab lately. ‘Regista’, ‘Inverted Winger’, ‘Trequartista’ and other similar ‘modern football’ words will make you sound superior to your mates so pay attention to this one. I could go through every one of the All or Nothing articles and heap praise on them for various reasons but there’s been enough spoilers already so you’ll just have to buy it and read the rest for yourself. Available to buy from Amazon for the very reasonable price of 99p (or your own country’s equivalent), the magazine is certainly worth the small cost. Once you’ve picked up your copy of All or Nothing, follow Alistair and the magazine on Twitter. Where has all the discipline gone?